6 tips for managing tough times with mindfulness. After the birth of my first child, I was faced with a collection of unexpected physical challenges. These included a birth complication which left me unable to walk for a month, breastfeeding difficulties and the common experience of extreme sleep deprivation. All this was happening whilst under the influence of a psychedelic like hormonal cocktail which made for questionable sanity. The love I felt for my daughter was deep and primal but the image I had in mind of what motherhood would be was a stark contrast to the reality of this rough start. During this stormy time I turned to all of the inner resources and skills I had learned over my lifetime to ride the waves of uncertainty and physical discomfort. I was grateful to be able to turn to mindfulness practices which helped me ride the waves rather than be drowned by them. When you find yourself in a tough life circumstance, whether it’s a rocky road into motherhood, a relationship issue, or maybe a job loss or illness, it can be easy to get overwhelmed. 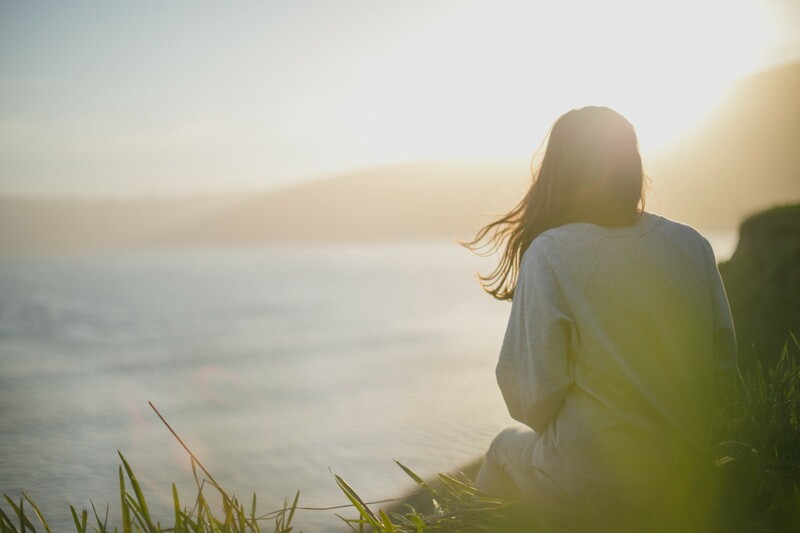 Here are six tips on bringing mindfulness to tough times which can help you stay afloat and strengthen your resilience. Mindfulness, the ability to bring a non-judgmental awareness to one’s present moment experience to support greater wisdom and clarity, is the first step required for managing overwhelming emotions more effectively. This capacity to be present to whatever is happening emotionally, allows you to witness the emotion rather than be overwhelmed by. When a difficult emotion hits you such as frustration or overwhelm pull out your phone. Speak to the video about what you are feeling, what you are thinking and feeling and any sensations you are noticing in your body as a way of re-grounding into the present moment. Try to clearly identify the emotion and name it to tame it. Science suggests that when you use language to describe your emotions it actually helps you regulate your emotions more effectively — meaning you can more quickly recover back to a place of calm. Watch your video a few days later and be reminded of the law of impermanence — all emotions that arrive will also pass even though when you are in the midst of a strong emotion it can feel like it is a permanent state. When you look back at the video you may feel greater compassion for yourself as you see how caught up in the emotion you were and occasionally you may even laugh at how all consuming the emotion was at that moment. When you’re going through a tough time, friends and family may be unsure about how to offer support. Many of us are not comfortable asking for support and communicating our needs, however support is a crucial aspect to getting through tough times. Next time you find yourself in the midst of a challenge ask a friend whether they would mind helping you in some way, for example in my situation getting a food roster started was invaluable. We discovered this helpful tool Take Them a Meal, to coordinate it. We all need different things when we’re suffering and so a powerful way to get the support you actually want is to write an email to your closest friends or family and explain what you are going through and what you need. It may sound obvious or for some feel too demanding. However, it’s a way of enabling those around you to know how to help you. When you are going through a difficult time be intentional about what media you are ingesting. Find stories of hope, optimism, inspiration and shared humanity such as the many that are shared on Humans of New York. Alternatively explore sites such as Karma Tube or The Optimist for the more hopeful side of humanity. What we choose to focus our attention on, creates our reality. Gratitude is a powerful way to train your attention to notice the good rather than the deficits in life. It is the foundation of happiness. Create a gratitude group by contacting a few friends and hold each other accountable to check in daily with something you feel grateful for. I have enjoyed using Whats App to create gratitude groups with friends from around the world. Even when you are going through hard times, there is always the choice to notice the the small positives. Gratitude can be a powerful force that lifts you out of the darkness when faced with difficulties. Research actually suggests that focusing on gratitude will support greater happiness in daily life. Many of us can create extra pain for ourselves when we’re faced with difficult situations. The self critical, harsh internal narrator creates a second layer of suffering as we feel we should be coping better in the face of hardship. Bringing active self compassion practices into your life at these times is a powerful way to neutralise these automatic thought patterns and bring more kindness and gentleness to yourself, ultimately supporting greater resilience and strength in the face of difficulties. When you next face a difficult moment, try this self-compassion practice. Place your hand on your heart and actively sooth yourself by quietly saying a kind phrase like “this is such a difficult time, I’m doing the best I can and I’m here for myself with love and kindness”. At its core self compassion is about learning to be your own best friend, rather than falling into harsh self criticism when you may not be coping as well as you’d like. Our mind can be our greatest ally or worst enemy. Meditation is a way to train the ourselves to develop a new relationship to our thoughts so that they don’t have as much impact on our emotional state. It’s a practice that helps you learn how to be master rather than be slave to your mind and thinking. However, just like facing the challenge of a marathon, we need to train our minds towards greater mental fitness and strength before we face challenges so that we have the skill needed to manage our minds when the going gets tough. Learn the skill of mindfulness meditation when things are calm and develop an inner resource that you can call upon for the rest of your life. Originally published at mindlifeproject.com on February 25, 2017.